Tough Glove | Critical End! Jackie Earle Haley is not locked in your dreams with you. 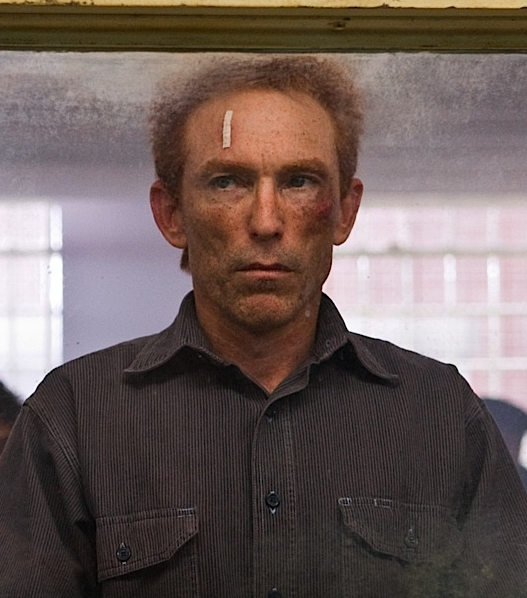 You are locked in your dreams with Jackie Earle Haley. The Wes Craven remake train is once again pulling into the station and look who’s clinging to the smokestack, cackling maniacally! Rorschach is the new Freddy and I’m pretty jazzed. The rumor that Robert Englund might direct, write, or be involved in some way other than the expected fan-service cameo seems to have been just that. Still, if they’re going to reboot Nightmare, Jackie Earle Haley is a solid choice. So, the question is: will they go grim and gritty (a la New Nightmare) or will Haley be treating us with some patented Freddy post-murder bon mots? This entry was posted on Tuesday, April 14th, 2009 at 9:01 pmand is filed under . You can follow any responses to this entry through the RSS 2.0 feed. Both comments and pings are currently closed.